Julien Stéphan's wonder season continued on Tuesday night when his Rennes team beat Lyon 3-2 to advance to the final of the Coupe de France. Stéphan, 38, took over as caretaker after the sacking of Sabri Lamouchi in December. He started his reign with two Ligue 1 victories over Lyon and Dijon and was handed a deal until December 2020. Since then Rennes have climbed up the table to contend for a place in next season's Europa League and they reached the last 16 of this season's competition. That surge, said Stéphan, was instrumental in a scintillaing performance at Lyon on Tuesday night. "We wanted to play for the whole 90 minutes," said Stéphan. "We full deserved the win. There's a lot of pride and joy among the players because we've done what we set out to do. "We've rewarded our supporters who have backed us over the past couple of months and we're so happy to give them something to shout about as we're on our way to a cup final at the Stade de France." M'Baye Niang gave the visitors the lead just before half-time. But Bertrand Traoré brought parity for the hosts just after the pause. Skipper Benjamin André put Rennes back in the lead after 55 minutes. But Lyon levelled 20 minutes later from the penalty spot. Moussa Dembélé slotted the ball into the bottom right hand corner of Tomas Koubek's goal for his 17th goal of the season. However Stéphan's men had the final word nine minutes from time when Ramy Bensebaini swept home from the edge of the penalty area. "We didn't deserve to win," Lyon goalkeeper Anthony Lopes told OLTV. "We made too many mistakes both individually and as a team. "I'm very disappointed because we all wanted to go and play for a major trophy. "We didn't start the game well. Rennes had a lot of chances and at the highest level, you pay for your mistakes." The defeat cast further doubt over the future of the Lyon coach Bruno Génésio whose contract expires in June. The 52-year-old is unpopular with large sections of the Lyon supporters and the Lyon president, Jean-Michel Aulas, said after the defeat: "It was agreed that if we were in the final - which is no longer the case - and if we were in the top three, there would be a two-year extension. "The deal that was reached with Bruno is that there will not be a contract renewal between now and the end of the season. It will stay like that. It's really sad not to be able to say that Bruno will extend his stay." With Lyon lying in third place with eight games remaining, the former Lyon midfielder might be able to save his job. 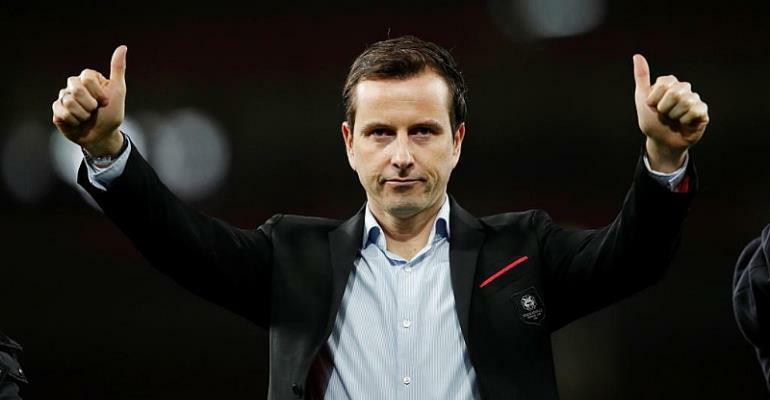 "I've always said my personal situation is second to the club and that has not changed," said Génésio. "I'm sad that we have not been able to get to the final. "However eight matches remain in Ligue 1 and I'm going to do my best to get the club into the Champions League next season."